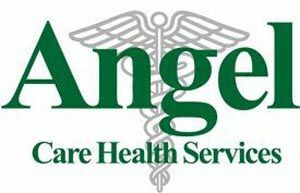 Angel Care Health Services is a Medicare Certified Home Health Agency serving the Phoenix Metro and surrounding areas. Angel Care Health Services provides quality home health care services by offering caring, compassionate and cost effective service focused on each patient`s unique needs. Quality, commitment and dedication are the driving forces in our agency. Our goal is to provide our patients with quality care in the comfort of their homes. Our disease management programs focus on educating the patient, family members, and caregivers concerning the disease process, while providing high quality care in the home. We offer 9 disease management programs that focus on Diabetes, COPD, CHF, Alzheimer`s Disease, Falls Prevention, Light Step, Stroke/TBI, HTN, and Parkinson`s Disease. Our services create a safer environment, reduce falls, and help patients achieve a higher level of independence. This is done with caring, compassionate and cost effective services that focus on each patient`s unique needs. To qualify for home health benefits under the Medicare program you must be under the care of a physician who orders the care, you may request care from your physician or request one of our staff members to contact your doctor and assist you with the process. You must be in need of skilled care and you must be home-bound. We offer Skilled nursing, Physical Therapy, Occupational Therapy, Speech Therapy, and Home Health Aide services.